(NEW ALBANY, Ind.)—Dr. Faye Marsha Camahalan has assumed the role of Dean of the School of Education. Camahalan received her Bachelor of Elementary Education, Master of Education and Doctor of Philosophy in Education from the University of Philippines. She joined the faculty of IU Southeast in 2003. Camahalan also serves as Director of Graduate Studies in Education, Campus Institutional Review Board Liaison and Campus Faculty Colloquium on Excellence in Teaching (FACET) Co-Liaison. She is a three-time recipient of the Trustees Teaching Award and received a Distinguished Teaching Award in 2016, among other accolades. 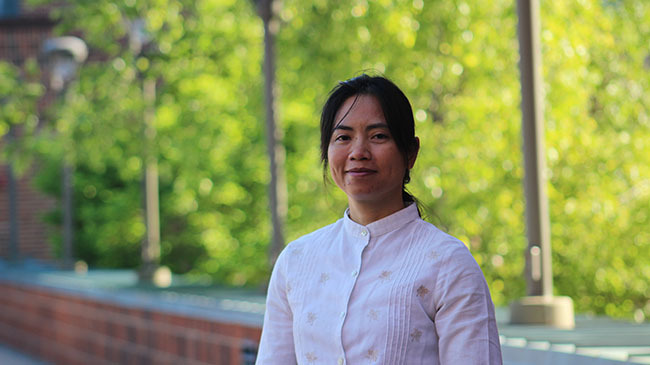 Camahalan has published and presented widely in her areas of specialization: mathematics, educational psychology and curriculum and instruction.